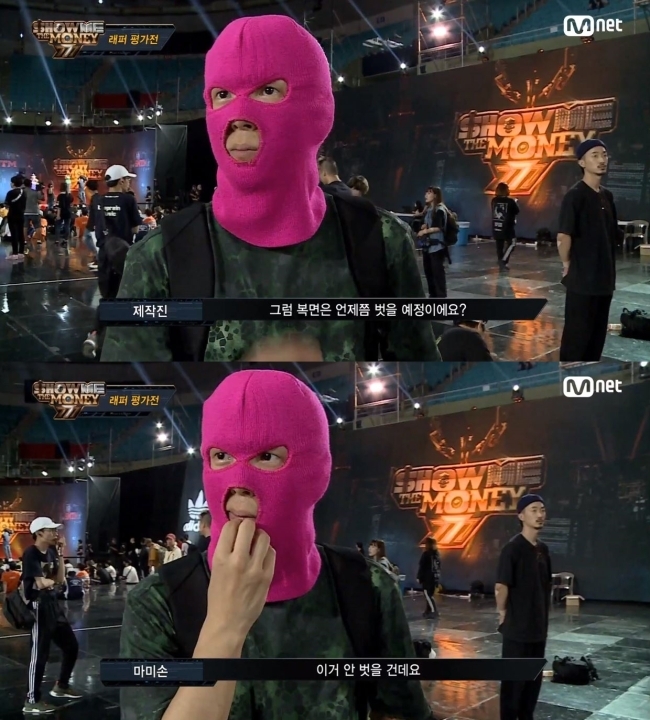 The first episode of the program featured the story of the masked rapper, “Mommy Son,” who refused to take off his pink mask until the end of the competition to hide his identity. “I feel my confidence get a boost when I wear the mask,” Mommy Son said when asked why he chooses to perform in disguise. But upon hearing the masked rapper’s distinctive voice, many other participants soon thought they’d figured out his identity. Participants, judges and viewers were just about sure that they were hearing the voice of celebrated Korean hip-hop artist Mad Clown, who garnered mainstream popularity in 2013 after coming in second place on “Show Me the Money,” season 2. Nevertheless, his identity hasn’t been officially confirmed and Mad Clown seems to have jokingly denied the speculation on his Instagram page. 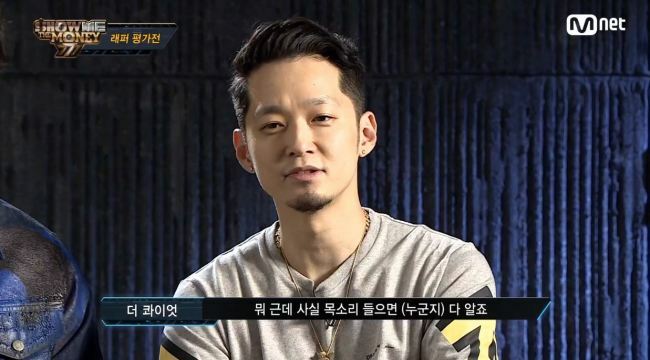 “Anyone would know who he is (just from hearing) his voice,” said The Quiett, one of the show’s judges. Despite the anticipation of spectators and judges alike, Mommy Son failed to enter the next round after he forgot the lyrics to the song he was singing. Mad Clown is known to have made similar slips. On Sept. 14, when the second episode of the show aired -- including the footage of the onstage mistakes -- Mommy Son released a video titled “Sonyun Jump” on YouTube. In the comedic two-minute clip, the rapper shouts, “You think I’ll fail here? The hero of this cartoon never dies!” indirectly referring his failure on the competition show. The lyrics include lines like, “This is just like a total classic cliche. The hero suffers in the beginning, but this was for the boost (to be on a roll)!” and “OK, things are going as planned,” implying that whole situation was just part of his plan and that he had the mistakes mapped out beforehand. 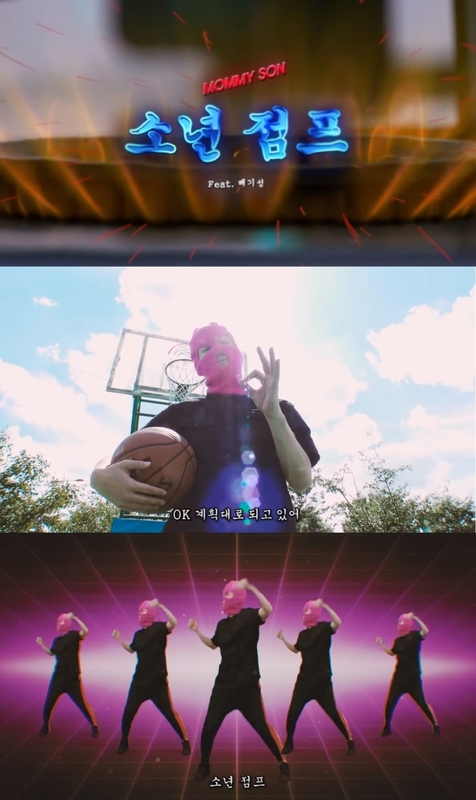 The part where he screams “Korean hip-hop, go to hell!” is the highlight of the song, making the video even funnier. Mad Clown, who had denied the rumors, seems to have acknowledged being Mommy Son by sharing the clip via Instagram on Sept. 15. Two weeks later, the rapper also uploaded a behind-the-scenes video showing the making of the music video. The YouTube video has recorded 13 million views as of Oct. 1, drawing explosive popularity among Korean hip-hop fans. “This definitely is the best promotional song of the year (of the rubber gloves with the same name, “Mommy Son,”) a comment on YouTube reads, which gained 12,000 likes in five days. As the story of Mommy Son went viral online, a company that makes rubber gloves -- which look suspiciously like the face mask -- gifted Mad Clown with eight boxes, or 600 pairs, of “Mommy Son” rubber gloves. “600 (pairs of) Mommy Son … Why did (the company) send me this?” Mad Clown jokingly said, sharing a picture of the boxes on Instagram. The post received more than 25,000 likes from fans.